In the River Heights City, south-east Logan, and Nibley areas, 628 homes have been tested for radon gas. Of those tested, 43% had levels higher than the level considered acceptable by the US-EPA’s standard. 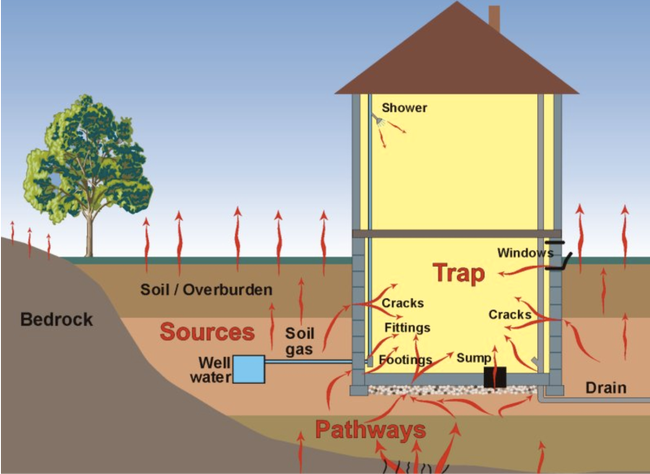 The recommended action for those homes is to install a ventilation system under the basement of the home which normally cost about $1,500 ($750 for new construction). River Heights city has arranged a meeting to educate our residents about the risk and possible remedial actions to be taken. The Bear River Health Department along with Wallace Ackerly (MD) from the Huntsman Cancer Institute will conduct this seminar. It will be held at the River Heights Elementary School at 7 p.m. on Wednesday, 3 December 2014. We invite each of our citizens to attend. Please see the attached information sheet from the Bear River Health Department.